The Government has been urged to use the Agriculture Bill to drive a transition towards sustainable farming practices following a stern warning by world scientists on the health of the planet. A new UN report urges Governments worldwide to increase their action on the climate crisis within the next twelve years, or face devastating consequences. The report, by the Intergovernmental Panel on Climate Change (IPCC), shows even half a degree of extra warming will affect hundreds of millions of people, destroy coral reefs and collapse the Earth's ice sheets. It highlights that emissions need to be cut by 45% by 2030 in order to keep warming within 1.5C. Listing ways for Governments to soothe the dire situation, the IPCC calls for more than half of the world’s electricity to stem from renewable sources, such as solar and wind power, in just over 10 years. The 728-page document also calls for a drastic reduction of methane emissions from livestock production, amongst other agricultural products. Green MEP Molly Scott Cato highlighted how the release of the report must encourage the Government to help change UK farming methods in a bid to reduce the sector’s greenhouse gas emissions. Dr Scott Cato, a member of the European Parliament’s Agriculture Committee, said that making sustainable farming methods the norm can transform farming from a major emitter of greenhouse gases to becoming a sector which can capture up to 100% of global annual carbon emissions in soils and plants. She said urgent reforms to Europe’s Common Agricultural Policy (CAP) and the UK’s Agriculture Bill, which is entering its Second Reading this week, are needed to help drive such a transition. Liz Bowles, head of farming at the Soil Association, agreed, and said it is "deeply worrying" that only one line of the Agriculture Bill refers to the possibility of future support for cutting greenhouse gas emissions. Controversially, both agreed on a need for less, but better, meat and dairy consumption, and a general move towards plant-based alternatives. “A shift towards less but better meat and dairy consumption and production is also needed, alongside dramatic cuts to food waste and a focus on shortening supply chains,” Ms Bowles said. 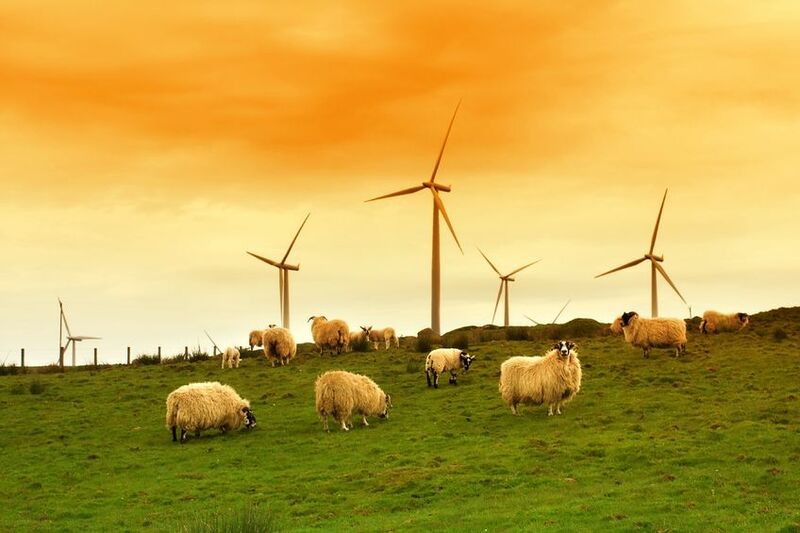 In response to the report, the NFU said farmers are already taking measures to reduce greenhouse gas emissions, highlighting that two fifths of farmers and growers are already diversified to produce clean, low-carbon renewable energy. NFU Deputy President, Guy Smith said: “We are already starting to see the effects of global warming and this year’s extreme weather events have served to remind us how vulnerable farming is to a changing climate. Climate experts and politicians will hold a meeting chaired by Lord Krebs, former member of the Committee on Climate Change, in parliament on Wednesday (10 October) to discuss the IPCC report and consider future Government policy.